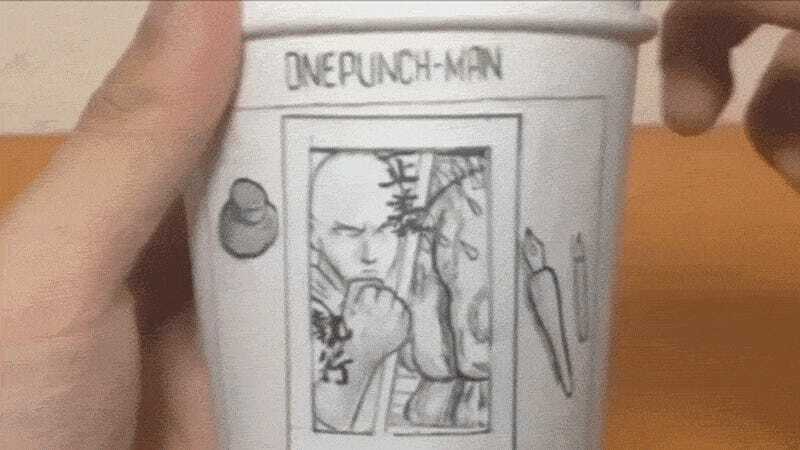 Japanese enthusiast shin__geki used three basic paper cups, in a very clever way, to tell a mini story featuring everyone’s favorite bald hero. All he needed was a pencil, a knife and some planning for the special One-Punch Man panels. The tweets below show the whole thing. It’s really smart!